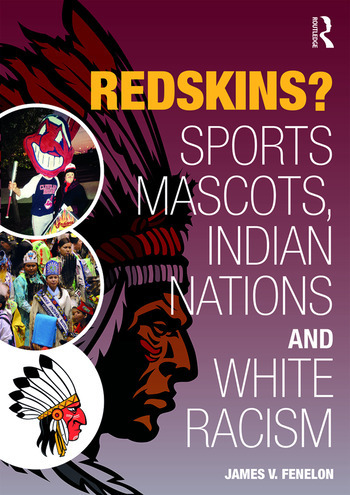 This book assesses the controversies over the Washington NFL team name as a window into other recent debates about the use of Native American mascots for professional and college sports teams. Fenelon explores the origin of team names in institutional racism and mainstream society’s denial of the impact of four centuries of colonial conquest. Fenelon’s analysis is supported by his surveys and interviews about the "Redskins" name and Cleveland "Indians" mascot "Chief Wahoo." A majority of Native peoples see these mascots as racist, including the National Congress of American Indians—even though mainstream media and public opinion claim otherwise. Historical analysis divulges these terms as outgrowths of "savage" and "enemy icon" racist depictions of Native nations. The book ties the history of conquest to idealized claims of democracy, freedom, and "honoring" sports teams. James V. Fenelon is Professor of Sociology and Director of the Center for Indigenous Peoples Studies at California State University, San Bernardino. His publications include Culturicide, Resistance, and Survival of the Lakota and (with co-author Thomas Hall) Indigenous Peoples and Globalization. He is Standing Rock Lakota/Dakota and has taught internationally, on social justice topics.